Edward Buscombe explores the ways in which Unforgiven moves between the requirements of the traditional western and more modern sensitivities. Unforgiven is dedicated to Don Siegel and Sergio Leone, Clint Eastwood’s two cinematic mentors, who represent respectively the legacy of the classic Hollywood western, and the radical updating that Italian westerns forced upon it in the 1960s. Unforgiven offers a revision of a traditional format, in which an ageing gunfighter comes out of retirement for one last job. Not for the first time an Eastwood hero is given an awkward time by women: reformed from his youthful viciousness by his saintly but now deceased wife, he is engaged by a group of prostitutes to avenge the ill-treatment of one of their number. William Munny, wonderfully played by Eastwood himself, finds himself confronted not only by the formidable sheriff Little Bill Daggett (Gene Hackman) but by his own inner demons and the awful realities of violence and death. 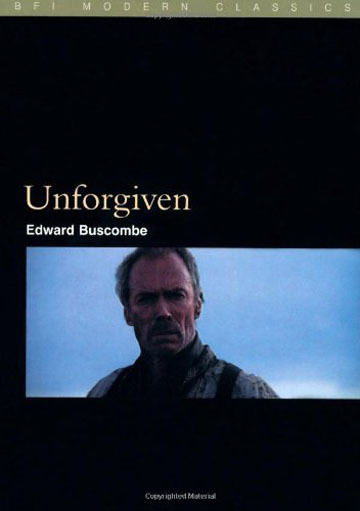 Edward Buscombe explores the ways in which Unforgiven, sticking surprisingly close to the original script by David Webb Peoples, moves between the requirements of the traditional Western, with its generic conventions of revenge and male bravado and more modern sensitivities. On its appearance in 1992 the film proved a popular and critical success, securing an Academy Award for Best Picture, for Eastwood as Director, Gene Hackman as Best Supporting Actor and Joel Cox as Editor. To date it has proved to be Eastwood’s last western and may be his swan song in a genre which he has graced for over 40 years.